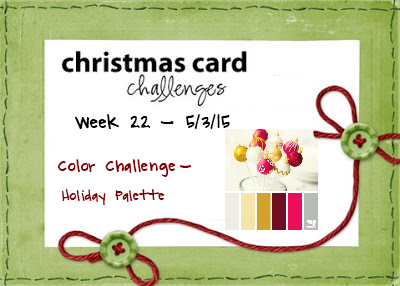 Christmas Card Challenges has a Color Challenge Theme for you this week; although the only real rule to play along with us is to create a Christmas Card. I've got another CAS Christmas Card this week for my "stash" since I think they'll be easier to mail than big bulky cards. I hope you'll join along. 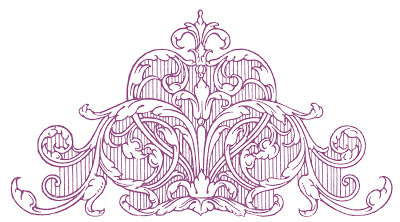 Stop by the blog (click here) and see what the other DT members created . . . we're almost halfway through the year ! And here's the color theme for this week's Challenge. I chose the ivory, gold and berry colors (first 3 on the chart). The sentiment and the stars are die-cuts. 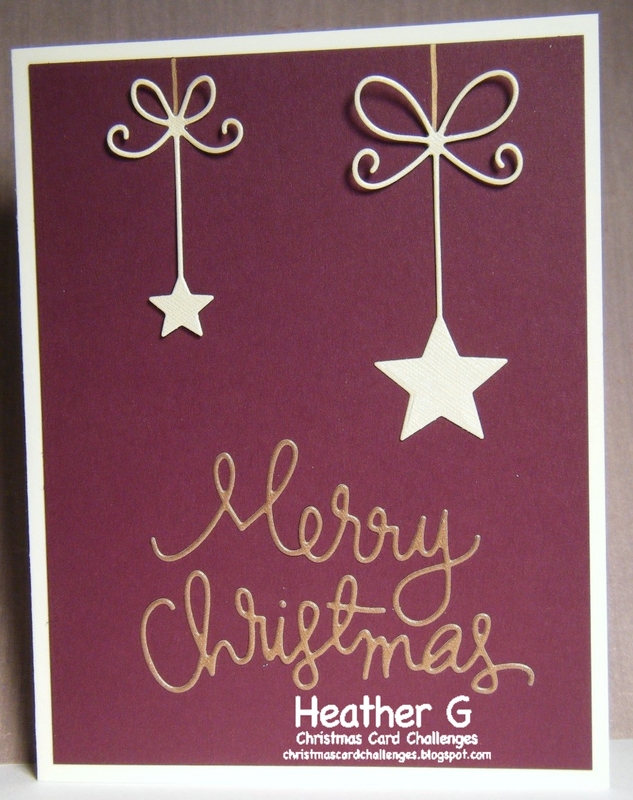 The star "hanger" is gold pen. This is so classy! The fancy bows and font add a lot of interest to the CAS design.